Hello and welcome to my website. My name is Dr. Mark Iwanicki N.D. L.A.c and I am a board certified and licensed Naturopathic Doctor and Masters of Acupuncture. On this site you'll find information about my journey to becoming a doctor, information on becoming a patient and articles I write on the worlds of medicine, health, fitness and wellness. I am passionate about helping patients with chronic illness achive a life of optimal health and wellness and hope to inspire all who visit my site in that same passion. 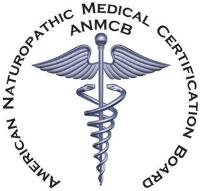 I am currently seeing new patients at my naturopathic and natural aesthetic medicine practice at the CLEAR Center of Health in Mill Valley, California. Please see my contact page for ways of reaching me directly. Sign up below to receive my weekly health and wellness newsletter. I’ll be sharing all the latest and greatest natural medicine health tidbits and knowledge bombs. Make sure to put me in your contact list so the email doesn’t go to spam. *We respect your privacy and never share information with third parties. Thank you for subscribing! Stay tuned for new and exciting updates from Dr. Mark Iwanicki.